Mountain Views in Monument! 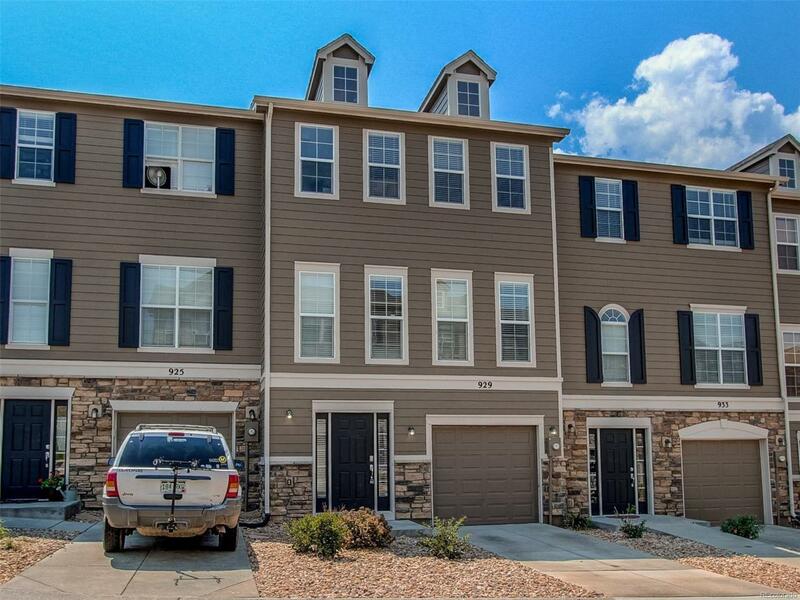 Located in the sought-after Woodmoor area, this wonderful town home boasts unobscured views of the Rocky Mountains, Pikes Peak and Air Force Academy! The living area is open and bright and is highlighted with a cozy gas fireplace, while the spacious kitchen offers a full array of appliances and the kitchen window even provides a beautiful panorama of the Rockies! Upstairs boasts 2 spacious bedrooms with vaulted ceilings, walk-in closets and en-suite bathrooms! The master suite offers undated flooring and dual sinks! Perfect for family or guests, the lower level affords an additional bedroom and full bath! Move-in ready with warm hardwood flooring, fresh paint and newer carpet! Nearby Woodmoor and Monument Lakes, hiking and biking, schools, restaurants, retail shopping galore and easy access to I-25 for commuting to Denver or Colorado Springs. Walk to Lewis Palmer High School! Spacious attached garage! Offered by Seville Real Estate.